Maximize your efficiency with the click of a button. 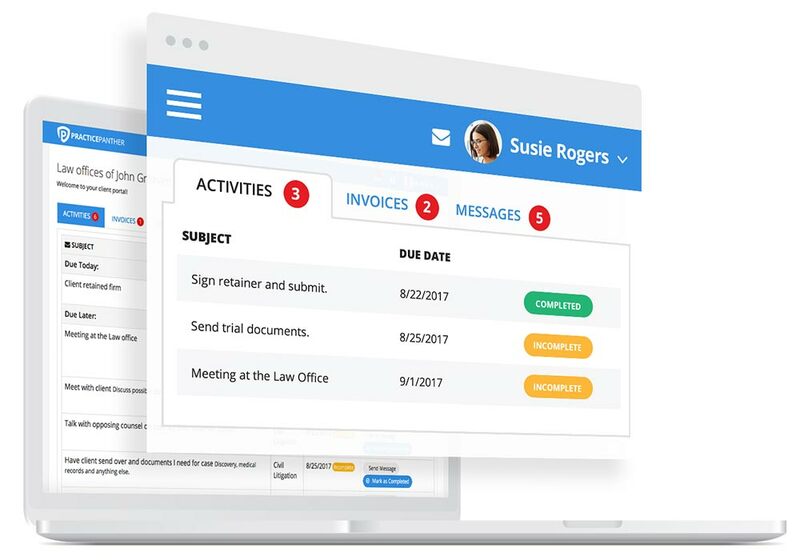 Remember every detail about every client and matter with a wide range of CRM features designed for law firms. Time is money, and you shouldn't waste either. 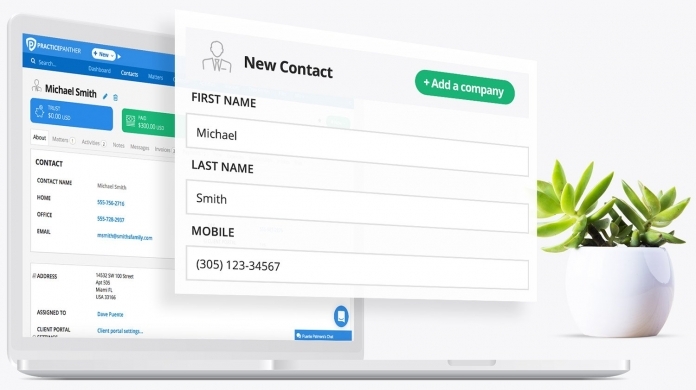 Never miss another billable minute again. Bill from your computer or phone. See a report of all un-billed emails, tasks, meetings, phone calls, and much more. 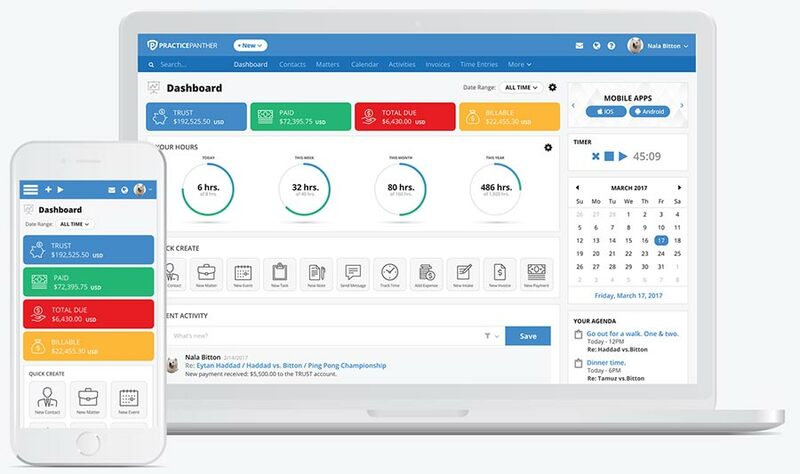 With your client portal, chat functions, and real-time notifications, make sure you never miss a beat when it comes to touching base with your team or clients. Using our API and Zapier integration, PracticePanther integrates with thousands of apps so you can keep using the same apps you already love and use today. We’re here to make life easier.